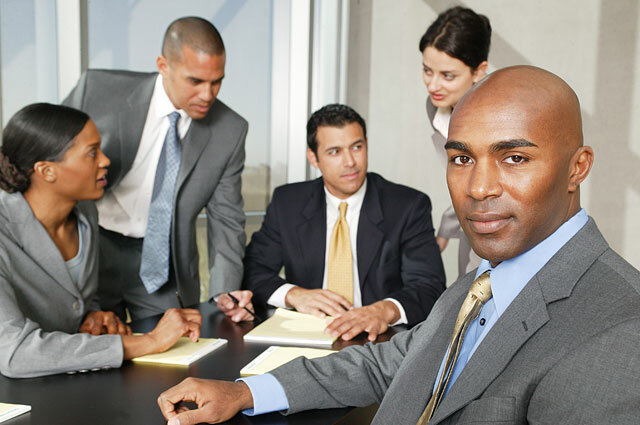 The rate of African American businesses failing today is at an all time high. We all know that 80% of businesses crash and burn within the first year. Not to mention, when starting a business the last thing you want to hear is why or how you could fail, but addressing the reasons for failure up front, you’ll be much less likely to fall victim to them yourself. I can proudly say every last point listed I have either failed at or wasn’t aware of. With the entire entrepreneur plane-crashing going on, what have we learned? Have we been paying attention to the gigantic amount of failure in small businesses to apply to our own business goals or aspirations? With hopes of reaching my large network of aspiring business owners and entrepreneurs who are majority black, this list will give you a large scope of perspicacity. 8 out of 10 fail within the first 18 Months according to Bloomberg; But, with the right people, research, planning, accounting and flexibility, businesses have a better chance of succeeding. In my personal opinion here are some of the biggest mistakes by African-American startups, but keep in mind these reasons can fit in to any minority owned small business. In 2012 Gatorade ran an advertisement campaign based on kids who wanted to be like Michael Jordan. He was the alpha male of a generation, across celebrities in every conceivable field, and kids are drawn to that. But what about Scottie Pippen? Or Dennis Rodman? Or Steve Kerr? The entire team contributed to Jordan’s accomplishments. The same goes for company start ups in the small business field. Why do you think Google is the most competitive company in the country to work? A team of top notch Betas formulated their entire executive staff. Without A1 Betas, Alphas don’t stand a chance. Black owned companies tend to fail with a team of 20 Alphas who aren’t think they are too good or too wise to take a Beta role. My mother uses a variety of proverbs to incorporate life lessons she wants her family to live by. Her favorite, “Look before you leap,” holds true to not only those seeking life guidance, but for those seeking to become the next big entrepreneur. Never start something without fully understanding what you’re getting yourself into. Starting a business is an eye-opening experience. According to Forbes, many new business leaders start off bright-eyed and bushy tailed thinking that pure drive and determination will set them above the rest. While it is important to start off a business with a lot of stamina, all that hard work will go down the toilet if there is no concrete plan or prior research to the new venture. Think about it, do you think Steve Jobs just “went with the flow?” Absolutely not. He researched teams, consulting firms, etc. to figure out the best practices to make his company into the lucrative one that it is today. Companies, especially black-owned companies, need to sit down and have solid course of action for their new business. Find out what works and what doesn’t work. What do the customers need? How can market your business in the right way? All of these things are essential before you start your business. It was the Wal-Mart of all video stores. It put the T in TGIF nights. No kid of the 90s can deny that exhilarating feeling of seeing those blue and yellow hollow boxes in Blockbuster and going home the happiest kid in the world. Blockbuster did what no other mom-and-pop video store could do. It took the place of the relatively small, limited-selection video store and turned it into a mega house of video selections, both old and new. The company capitalized on the fact everyone in the 80s and 90s who had a VCR at home. Where they failed, however, is they forgot to keep up with the times. They got too complacent with the norm and thought the fast-moving Internet would be just a fad. Man were they wrong. Technology is forever changing. What’s the fastest option today may not be tomorrow. So it came as no surprise that competitors such as Redbox and Netflix crept in the night and stole their reign. You must stay relevant with technology if you want any shot at being a true contender in the marketplace. Blood is not always thicker than water when it comes to doing business. Even with the best of intentions and aspirations, what starts out as a seemingly “safe” mutually beneficial project or interaction can turn into anything from a minor embarrassment to a major nightmare. African-Americans tend to lean towards family and friends for staffing. Who wouldn’t want to do business with close ones at risk free, rewarding pleasure? Even sometimes it works out fine, but majority of the time it doesn’t. As with many things in business, it is helpful to try to anticipate the worst-case scenario, and consider the alternatives. Decide if it’s a risk worth taking and if you can live with the possible consequences. Everyone has a job to do in order to build a successful business. It is the CEO’s job to convey their vision to the masses in a clear and concise fashion. If there is no concrete vision or plan, how do you expect the consumer to understand what you are trying to sell. Let’s look back in history. The Great Depression hit businesses at an unimaginable level. Thousands of banks, businesses and corporations fell victim to one of our nation’s darkest moments; however, there were a handful of businesses that weathered the storm. Proctor and Gamble and Chevrolet survived the unthinkable because of one thing – they had a plan. They were prepared for the long haul. They had a vision to make their company last during good times and bad. That’s the test of a company. Mary J. Blige singing on chicken commercials for McDonalds, RUN DMC rapping on commercials for Adidas, the face of any black athlete on a Nike commercial. What do all these instances have in common? Their respective companies knew the importance of branching out to other demographics. Think about it, if McDonalds only ran commercials with Garth Brooks or Dolly Parton singing country hooks, would black folk feel any kind of connection? I think not. Part of the reason why McDonalds, Nike, Adidas and countless other Fortune 500 companies succeed is that when it comes to advertisement and product diversification, they expand their markets. Brands like Coca-Cola are not just for black and white people, but for all people; hence why there is a “We Are the World” commercial. With this, every nook and cranny of the world can relate to this product. Try and start a company revolved around something you have experience in. Someone who spent their whole life painting shouldn’t start a tech-consulting firm. Stay within your scope of interest when starting a company. Starting a business is by no means an easy task. There will be loads of obstacles along the way, and if you have no idea of what you are doing it is almost certain that you won’t have a successful outcome. 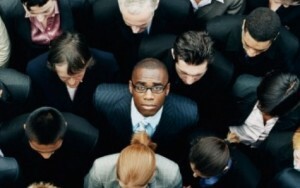 For years, there has been a dark cloud that has hovered over many black businesses. It leaves consumers uneasy and reluctant to patronize these establishments. That cloud is none other than poor customer service. It would be unfair to say that black businesses are the only entities that has less than desirable services. Try calling your local phone carrier or credit card company on a Friday night and see the similarities. However, the major difference is as African-Americans, we become the poster child for the negative stereotype unlike our lighter counterparts. Although unfair, African-Americans must work harder to break down this portrayal, because let’s be honest, too many of us know that one black business that we don’t want to deal with because so and so hates their job and wants to take it out on the consumer. It should be common sense – good customer service leads to referrals, which leads to more business, which leaves to what? More money in your pocket! Just about every business or company needs to market online. The ability to reach a large target audience and potential customers all over the world are all reasons why black owned businesses should market online more. Businesses can customize their marketing to those specific audiences to attract those cultures. Failure to do this will ultimately lead in your company failing. What does M.C. Hammer and Circuit City have in common? The “Can’t Touch This” emcee and the electronics mega store both fell from grace mainly because they didn’t have adequate leadership. We all know the story of Hammer, the baggy-pant rapper who was one of the biggest entertainers in history. He made millions on millions, yet lacked the leadership and knowledge to properly organize his franchise. Can we fault him from his upbringing and inadequate knowledge of how to run a company? Absolutely not. However, had he had the wisdom to put in place the right leadership, maybe the IRS wouldn’t have “touched” all his worldly possessions. The same goes for the electronics mega store. There was a point in time when Circuit City gave Best Buy a run for their money. But that race soon became annihilation when it was evident that the former had weak leadership. By not paying attention to the times and failing to manage the stock to remain relevant, the leadership of Circuit City single-handedly dismantled themselves. Try finding a Circuit City running today. It would be a very difficult task. It’s simple: businesses don’t fail, leaders do. For those of us from Small Town, USA who left home after high school, whether it was for college, work, or military, we all know that one person who stayed behind and is now on their quest of becoming the next Drake, Diddy or other one-hit wonder rapper. In the profound words of Dylan from “Making Da Band” they all spit “Hot Fire” or at least in their minds. What causes many of them to remain in their mother’s basement is their inability to market themselves and get their followership to a level to even make a ripple in the music industry. One of the five reasons startup companies fail according to Eric Wagner, contributing writer of Forbes magazine, is the failure to communicate. He states “many entrepreneurs work hard to discover a point of differentiation then blow it because they do no communicate their message in a clear, concise and compelling manner.” It’s simple, if you want you business to grow, you have to have a strong followership to make a profit.